Super Bowl marked it’s 50th game yesterday. A big milestone. As an ad-man I have been following one of the biggest sporting events on this side of the planet for years and that too ONLY from a marketing and advertising perspective. I first heard about the “big game” when I came across Apple’s Orwellian comeback ad “1984” some 15 years ago! And since then Super Bowl has been nothing more than an ad-fest for me. An opportunity to watch some of the most memorable, creative and often hilarious works of advertising. And now I had the opportunity to watch the four hour Live TV event from the word go! And boy was it an experience! Firstly as a marketer when you are watching the ads online you are totally focused with the context of what you are watching and perhaps reviewing the ad more than once if it is interesting to really understand the strategy behind the brand and the communication. But when you are doing the same as an audience in the middle of a game those 30 seconds can pass by unnoticed, forgotten as soon as they end and if you are lucky – etch a lasting impression. With $5 million on the line I could see the entire marketing strategy at play from brief to execution. For some it was spot on. For some it felt like a drop in the ocean. Some were simply irrelevant. Perhaps I am not the desired target audience for some of them or I just can’t relate to the context. Regardless here are my picks from this year’s Super Bowl and why! Before I get into that, the other aspect I found very interesting was the game experience itself! American football is a different beast. A one hour game can take up to four hours to play! Seriously? The clock would stop intermittently as the players would be piling on top of each other blocking any forward motion and then reforming for the next throw. No wonder there is so much ad time in between! And if that is not enough to slow things down anyone lucky enough to run a few yards would either escape out of the field over the sidelines or throw the ball away into the abyss. It’s a rather naive take on the game I know! But I have to admit those forced fumbles leading to a defensive touchdown are quite dramatic and a real treat to watch! With players flipping over to hit ground is athleticism at it’s best! Coming back to the best ads from this year’s big game! Here are my top picks! My first pick is Turbo Tax! It’s probably the shameless paradox by Anthony Hopkins that struck the right chords for this one. There was no brand strategy at play. There are many ways to get your taxes done. Intuit wanted to make sure they stood out and drove recall through a very funny advert. I must add though the choice of celebrity was the key factor behind the impact of this one. See for yourself! My second pick would be Doritos. It’s an annual ritual for the brand to run a contest by asking upcoming creative minds to share their ideas and have their commercial air during the Super Bowl if they win. One of the finalists was “Ultrasound”. The beauty of the idea is the creative leap. The idea that a baby in a womb can see and feel the presence of a Doritos chip. To demonstrate how it wants it, drives the irresistibility of the product in the most unexpected way, all with a surprise ending to finish it off! The other crucial factor is the focus on the product. It is really in-built into the storyline therefore the humor and the creativity does not take away from the desired product impression that the brand is trying to create but entrenches it even further. Have a look! My third pick would be Coca-Cola. They engaged in a massive tie-up with Marvel. The final production looks as if it was shot as part of an Avengers movie. But it’s power does not come from it’s tie-up with Marvel characters but the integration of the heroes with the concept of the product. This commercial is for Coca-Cola Mini. What other Marvel icon would be better suited for this other than Ant Man. Coupled with Hulk, the team has managed to create a film that is very product centric, with the storyline clearly conveying the concept of the product and Coca Cola’s new functional promise of “taste the feeling”. And if you are Marvel fan then you are definitely in for a treat. Enjoy! My fourth pick is Bud Light. Budweiser and the Super Bowl have a long history. With the masterbrand tugging on the heart strings with stories of friendship and Bud Light playing with with humor. This year is no different and with the context of election in the background “The Bud Light Party” seems like the perfect idea for the moment. It’s a celebrity fest for sure with two of the most comedic icons representing the brand peppered with a whole bunch of others. It’s a real treat to watch. Here it is! My final pick is tricky. There were over 60 commercials to choose from and this time I based my decisions on which ads made an impression and got stuck in my head post the game. I saw them all during the live event and jotted the ones that made the highest impact in my mind both strategically and creatively. Post game I had a chance to review them again and some definitely made more sense after the fact but the intended audience is not like me. They would not be pondering over the ads thinking about the strategy that led to their inception. Therefore I chose T-Mobile “Restricted Bling” (featuring Drake) as my final choice. Maybe this has to do with my background with telecoms or my desire to see more creative telecom advertising. The insight leveraged here is how companies influence the creative narrative to drive their commercial message and stifle the creativity behind a concept. This thought was juxtaposed in a different context to show how other carriers add restrictions and stifle their customers. This one seems to have been borne out of an agency’s frustration with their clients. Good one! See for yourself! So here it is. My favorites ads from this year’s Super Bowl game. If I reflect on the ads as a whole I can see some key lessons emanating from them. For one all the ads managed to evoke an emotion. Mostly they made you laugh if not just smile. That is key. They were all genuinely entertaining but they didn’t stop there. Their true power comes from the integration of the product. For some it was great storytelling around the product while others built on the brand promise. For example, Coca-Cola brought “taste the feeling” to life while Doritos leveraged “irresistibility”. On the other hand Turbo Tax simply drove recall of it’s name. Last but not least, four out of five are great examples of using celebrity power to the max by not only choosing the right celebrities but really leveraging their personalities to communicate the message of the brand. Hope you enjoyed the ads. 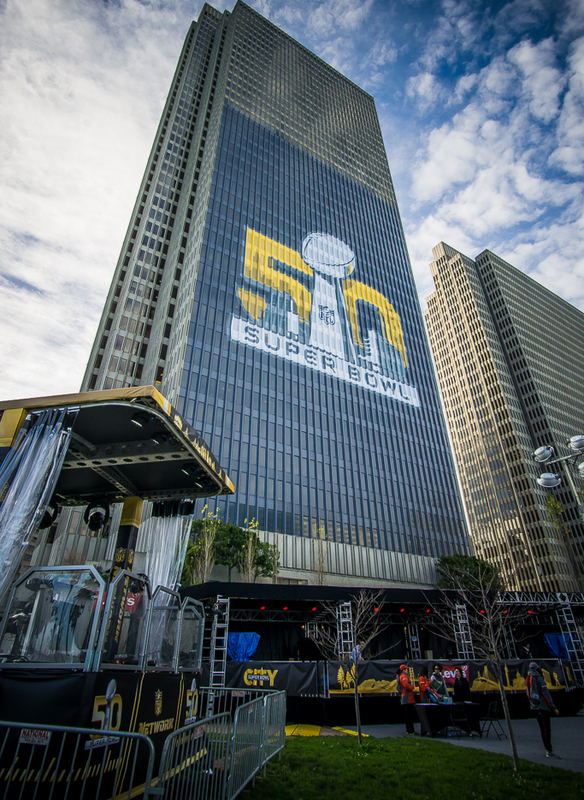 Feel free to share your thoughts on the above or any other Super Bowl 50 ad that you think should have made the list! Featured image by Christopher Chan used under Creative Commons 2.0 License. The image has been modified from it’s original. It has been cropped as needed.